Samsung join Qualcomm and the Korean Development Bank by purchasing a 10% stake in Pantech to 'solidify their relationship'! When Korean tech companies are mentioned then it's likely that you'll think of LG and Samsung right off the bat, but for those of you who really love your phones, you'll have noticed that a small company by the name of Pantech have been releasing a few interesting phones lately too! 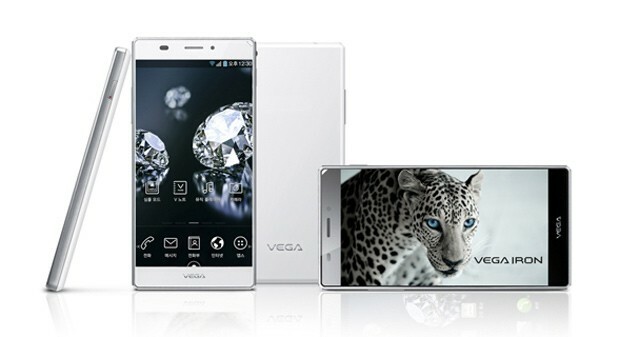 The might have dodgy names like the Pantech Vega Iron which you can see above, but that is one good looking phone! "The investment is aimed at solidifying our relationship with Pantech, a key component customer of Samsung. Samsung will have no involvement in Pantech’s business management in any way or form." That's great news because it means Samsung don't interfere in the company's design language, but they still get what they want out of the deal and that's supplying components! The news agency who first reported the deal also said that, 'Samsung and Pantech have strong ties in semiconductor and display businesses,' and again this deal helps to tie everything together a little more tightly! We're not sure what this means for Qualcomm and the Korean Development Bank, both of whom own about 11% in the company too, but probably very little and they'll probably just have another sleeping partner on the board!